Home › Latest News › Winter Warriors: Meet Karen! Did you know that Fleet Feet Sports Fox Valley has amazing training programs? We have something for everyone: Whether you are starting your fitness journey, or training for a marathon, we have a program that can help you reach your fitness goals. The training programs are more than just the miles logged: They are about the people involved (participants, coaches, pacers & mentors), and the friendships formed! Logging all those miles is so much more fun when you have friends along for the ride! Karen is one of our current participants in Winter Warriors. She started training with us in our No Boundaries Program in Spring 2015. 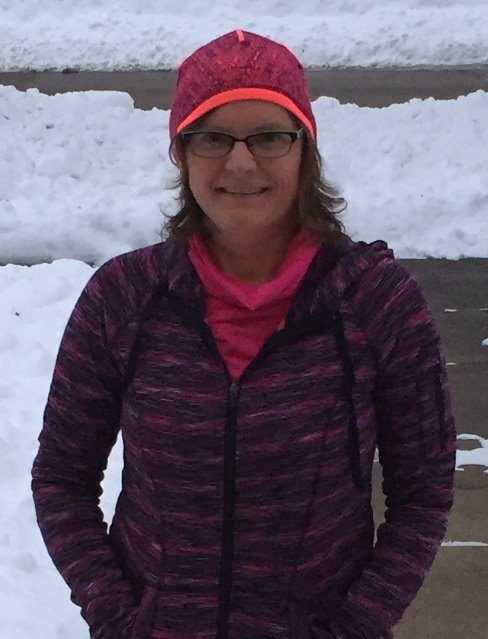 We caught up with her in the middle of training for the Seroogy’s Run Feb. 6 to see how Fleet Feet Sports Fox Valley’s training programs have impacted her life! Q: What other Fleet Feet programs have you been in? Q: What has been your favorite part of Winter Warriors so far? Q: What advice would you give to someone who is looking to start running? Q: Any plans for future programs once Winter Warriors is done?